I like Rapid Recovery because for more than one occasion it has saved our files. In a company sometimes the files "dissapear" because the user thinks that don't need the file more or even they don't know what has delete. Then when they need the file again they don't know to do. The backup is very usefull for these cases. Sometimes where the server restart the service didn't start or when the disk space isn't enough only the backup don't made, but the error isn't the clear. I review the service all days for this little inconveniences. For example when the user delete some file for error. i can restore the file without problems. The best benefit i think that is the security that you can restore your information. We were able to roll this out quickly across the board which was great for keeping every area accountable what the requirements we wanted to set in pace for digital and physical backups. It's very easy to use at the individual level so that everyone can be self-managing. I've heard there some kinks since Dell took over. I think that me only personal issue with it is that the level of support can be inconsistent. Since we are in the financial sector, we have a strong need to have digital and physical backups of a large portion of our work. This is a great tool to have that security and due diligence in place. It is easy to do recoveries from the very granular recovery points available. It is easy to change from default backup scheds/retention policies to client-specific ones as needed. Push installs of the client software have been successful. GUI response time has a LOT of lag, although in all fairness it might be due to us running more clients than we should on the server (although that has supposedly been improved in the newly released version 6, called Rapid Recovery). It is good for the backup and restore. I really recommend this. Before buying this, run trial version then make any decision. It is now fairly simple for operators to keep backups automated and easily do restores, or for managers to log onto the web GUI to get a quick view on things. If you don't have knowledgeable or enough staff to troubleshoot it well and you're on contract, Dell support will do their utmost to support and fix it (so far). The best part is the simple GUI interface. It's easy for our backup administrators to use and restore when needed. The product is also quite easy to train for simple tasks. As for the product not much to dislike. I would like to see more advanced training modules online. I know you offer a free administration course on the product and I look forward to reviewing it. We are dealing with backups and off-site backups more efficiently. Also we have a great disaster recovery in place. "Reliable and straight forward solution"
The best part about (AppAssure) (Dell) Quest Rapid Recovery is the setup. There isn't a lot of thought required to get this product up and running for your enterprise. You can create retention templates that can be rolled out to all systems, or you can customize retention for specific requirements. The agent rollout is pretty straight forward and requires minimum effort to implement. Like others have mentioned, AppAssure was a quality product that suffered in performance when Dell took it over and re-created it. But after the last couple of releases, the product has become much more reliable and even better than the original. Bare metal restores for physical hardware can be a challenge without the proper drivers. This software does not require 3rd party consultants for setup and installation. The product has a nice GUI and is very easy to learn. Compared to older products like Tivoli from IBM, this product is much more user friendly and doesn't require command line knowledge. We've seen 4 to 1 or better compression and additional space savings with deduplication. The ability to restore files to a share is a benefit which enables the end users to pick and choose which items they really want to restore. And to do so is simply a drag and drop procedure. "Close but not quite perfect"
It can be very easy to restore files - much easier than previous tape backups. We can see the status for all servers on the backup. The core crashes (or at least used to) relatively often and risked all of our data. This meant the datastore(s) was rebuilding itself over and over meaning that we couldn't use the product for hours at times. Follow support guidelines closely as it can be relatively easy to do wrong. Disaster recovery as we can snapshot servers to restore easily. It saves time and money compared to previous tape backups as technicians are spending less time restoring files. "Set it and forget it backup"
Give it a try, as a complete vm backup it works very well. "It was great, got worse and is now getting better!" Seems to be really good on space management. Other solutions can't hold as much backup retention with the same amount of space. Dell really did a number on Rapid Recovery, they took it over, stripped out a bunch of features and then slowly started adding them back in, but not as good. . .
Backups. We now have backups! "Great Backup Appliance Support solution and app"
Great backup appliance software solution. Very self managing when fully deployed and great customizable options. Deployment of the app on server side could have been a lot smoother. Depending on the OS there were different AppAssure versions and support had to be called a number of times for assistance. Came down to making sure that services were running. Advanced level of difficulty to troubleshoot. Needs professional IT Staff for setup. Would have been very challenging/impossible for a non-IT person. More reliable backup storage. Now have better piece of mind than with our previous backup appliance. Rapid Recovery allows us to back up and recover our virtual environment in a simple way. It includes all the features I was looking for (full disk backup, exchange backup, replication, encryption) and the software was competitively priced. It uses storage space very effectively using the canned compression. The system resource requirements for hardware (CPU and RAM) are high, but I'm not sure if this is normal. We've been able to reduce our disaster recovery times significantly and we don't have to worry about users deleting data. I like how quickly backups take to complete and also how quickly they can replicate to an offsite server. I really do not like that this product does not support Microsoft Clustered Shared Volumes. The time it takes to recover a server is minimal. "A easy to use backup system with excellent support"
Rapid Recovery’s ease of deployment and use is one of the most attractive features of this product. The support brilliant. We use it in multiple locations around the globe syncing back to a central system. We have had some problems with the core crashing, these were resolved by support however. We can very quickly restore individual files and folders, which we do on a daily basis. When the need arises to restore entire VM’s the process is easy and quick. "Excellent GUI with only occasional problems"
The graphical user interface is very intuitive and the backups are easy to recover. Occasionally backups get out of sync across repositories and cores requiring us to bring remote cores to the primary location to recover. "Rapid Recovery for Business Continuity"
Ease of setup. Replication over the Internet. We use it as an MSP which provides our customers the ability to get their data offsite. "Finicky Software but great results when working correctly"
We use this for our On-Premise exchange server as well as file servers. File servers are just fine, but the exchange backup process is really finicky. It often fails the truncation process. Ensure you have a seperate network for the backup traffic. We run our exchange backups off of one of the HA servers so we can backup every 1-2 hours without impact to production. "Reliable, set and forget backup"
I like that I can automate offsite backups to the cloud. I dislike not having unlimited storage on my end of things. The biggest solution for me is providing the needed database and user backup files when needed. I like the versatility of Dell Appassure. It has many useful tools including file/folder level restores, virtual machine exports, bare metal restores, and archiving to name a few. These tools give a user all they need in their challenge of backup restores. I have had some good experiences with support when a technical issue has arose. Overall Dell has done good in its evolution of the Appassure product to an enterprise product, however they have some work to do. The product does seem to be more and more solid and Dell is quick to fix new technical problems that arise. I think it can be a good product as long as you do your homework and understand hardware and software requirements for the product. Dell Technical support has gotten me through all my technical issues over the last couple of years and I have current working backups. It has cloud options for backup. Since Dell has taken over the Appassure product in 2012 it has transformed to a whole new product. Many people liked the original product. In my quest to setup backup at our business you can say it has been a challenging experience. These challenges include upgrades every 6 months to fix major technical issues. Issues like corrupted repository's. Another challenge has been Technical Support. Over the the evolution of Appassure the structure has changed sometimes making support frustrating. Support can go either way. You can get someone that knows their stuff or someone that struggles through it. I don't feel Technical Support understands the urgency that is needed when the company's backups are down because of technical issues. This can cost someone their job. I also feel that some of the recovery tools take a very long time to complete. I am a smaller business and it can take 15 to 24 hours to perform a virtual export on a 2 terabyte volume. Which seems long in the recovery world. I can't imagine something larger. To be fair to Dell I do not have the experience with other backup solutions to compare these complaints to. Appassure also requires babysitting because of the lack of reporting, which is currently overcomplicated for an enterprise product. It is a product you want to love, but just like. Do your homework. Check the forums. Ask questions to Dell about Hardware and Software requirements not just Sales people. Run the trial and make sure it works for you before buying the product. Have a solid plan in place for hardware and software to implement Appassure on. You will need robust hardware and software. Make sure you plan out sufficient hard drive space on your Server for your repository to grow. Be aware of how large your backups will be now and in the future. I was tasked with setting up backup and creating a Basic Disaster Recovery Plan for our company. I inherited Appassure 4 which had some problems. I immediately upgraded hardware and installed Dell Appassure 5. This product fit my company's needs for our plan. I like the tools available to recover data on different levels. From file/ folder to whole volumes makes the recovery process easier for different situations that may occur pertaining to data loss. "Fairly Easy to use Block Based Backup Solution"
I like that it is a block/Bit based solution, so it only backs up the bits that have changed, thus reducing the side of the stored data. It also does compression and deduplication to further reduce the storage needs. It has some incompatibility with applications that we have running and the version of .net that it requires for the newer versions. It is costly, but does its job. A large amount of data that needs to be backup and recoverable with minimal recovery time. Also needed a software/hardware that would backup fast and reduce the amount of storage needed for the backups, which it has done with compression and deduplication of the data. "Support from Quest - Rapid Recovery"
One thing I like with quest is the tech support knows exactly what the product is and how it works. The only I don't like is that one of the agent one time expect that I know how the retention policy works but I don't as it is my first time to have this kind of software but he seems to be upset in explaining it to me. If you think you need to replication offsite multiple time then you use this product. Almost out of disk space and try to change the retention policy. "Intuitive Interface and Good Solution for Protecting File Servers and RDMs"
I found that the software was easy to pick up without prior experience or training. It is our software of choice for backing up file servers and RDM drives, and it has performed well in that capacity. All information is easily available at a glance, and although the reporting could be improved, the GUI is easy to navigate. Dell has been improving and updating the software frequently. Updates are usually easy to perform, although the agent software will require a reboot to complete install/upgrade. Support has been helpful, although I have not needed them often once I learned the software's ins and outs. When the backup chain is interrupted, a new base image must be created, which can sometimes cause issues due to storage needed and time taken to complete. This generally only happens when the protected server is rebooted improperly. The software currently depends on VSS for its snapshots, which can occasionally mean backup failure due to failed VSS writers or VSS timeouts. Proper setup and management of the software will greatly decrease these issues. I've found that staggering backups of volumes on large servers helps tremendously. I use this on file servers to allow customers the ability to restore data at the block level with a long retention period. We also use it to back up RDM drives, as this is not supported by Veeam. Restoration of files is simple. Most of the time it works very well and is a second thought (in a good way). It is very reliable and stable. They have made significant improvements to the software over the years. Software can be slow at times. It lacks some of the more advanced AD features that I would like to see included. You never need a backup until you need a backup. You just have to hope that it works when you actually need it which is has on a number of occasions. "Not perfect, but gradual and consistent improvements"
The ability and knowledge of the support engineers. Simple/useful CLI/PowerShell commands. Archiving. relative simplicity of off-site replication. Chatty/Noisy alerts out of the box - but easily tweaked. Let down by poor sales service from distributor (UK specific). Could have better flexibility to decrease/move repositories. When Replication Goes Wrong(tm). It's very "chatty" - you need to spend time tweaking the notifications to get useful alerts and warnings instead of noise. Single backup and replication for for hetergenous systems. This software is very intuitive to us to restoring files. None that I can think of, it has a bit of a learning curve but once you get the layout it's easy. Users sometimes accidentally delete files this makes it easy to restore those files. Ease of management, Easy to deploy Dependable backups. It was a little confusing at first, and the navigation is a little confusing sometimes. "Best Functionality for Price Point"
Ease of deployment and ease of restoring files or systems. It would be nice to be able to edit repositories. "Great product and fantastic value for the money"
Repo setup, for storing backups leaves a lot to be desired. Retention of backups and availability of offsite storage. "Good product. Simple to use. " Some issues with server 2008 and older SQL products. The Rapid Recovery product does a great job protecting machines and has an especially strong emphasis on SQL protection. The technical support and customer service from the sales team was almost non-existent. 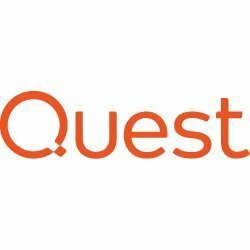 Please know that Quest Software does not appear to care about their customers. We were protecting all of our VM's and physical machines with rapid recovery. "Software for recovering and backing up software"
It's useful for backing up and recovering lost data. It seems pretty user friendly so I don't have any complaints at this time. Time will tell if I find something later. I use it to back up business files and help customers recover lost data. "Some issues need to be fixed"
The backup backup and recovery functions are working. The replication is also working fine. The system is doing a lot of base backups. Some simple issues will cause the system to perform base backup. Backup and recovery. Replication to DR site. "Using Rapid Recovery since 2014"
Really simple to recover files. Incremental back-up works perfectly. Some times the web portal freeze. Really high CPU/RAM consuming for running, we have Rapid Recovery on a dedicated server. Crypto locker infection succesfully removed. No more folders deleted by error. I set the parameters 3 years ago, and I have had to use the program twice since then due to hardware failures. Both times the program worked perfectly. Very little work to operate once it's configured! Nothing so far. It just works and works well. This product works and require much less maintenance overhead than previous solutions. The central management feature for the remote Cores. Reporting and manual volume addition to protection. * We monitor all Rapid Recovery reviews to prevent fraudulent reviews and keep review quality high. We do not post reviews by company employees or direct competitors. Validated reviews require the user to submit a screenshot of the product containing their user ID, in order to verify a user is an actual user of the product. Hi there! Are you looking to implement a solution like Rapid Recovery?